Blocks calls, SMS, Wi-Fi, 4G, Bluetooth, RFID, NFC - Blocks & Unblocks in just 5 seconds! 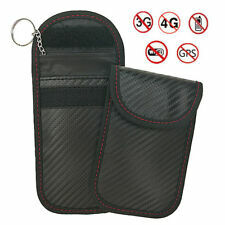 Discourages phone use whilst driving - no notifications, no distractions! 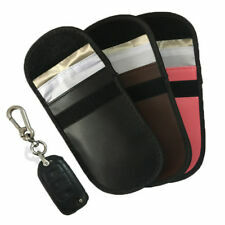 2 LAYER DESIGN - Inside layer can be used for car key fob, outside layer can be used for ID card / Bank card. NEW ANTI THEFT CAR VAN SECURITY STEERING WHEEL LOCK SAFE SECURE CAR VAN DEVICES. This is a New Heavy Duty Steering wheel lock. Makes it impossible for thieves to drive away your vehicle.Universal Anti-theft device. This Heavy-Duty Lock Clamp is a perfect anti-theft device. It is a must have one for sake of your car's safety. |Highly visible due to bright colors. We will get back to you as soon as we are available. This item is Ship From UK Warehouse! Fastest Way to your hand! Welcome to do the payment now!!! Features:. 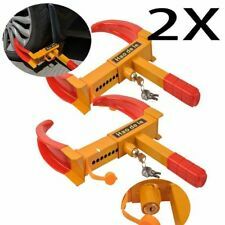 2X HEAVY DUTY WHEEL CLAMP 2 KEYS. Very simple and convenient set up. Features:Disables steering system: Locks onto your steering wheel making it impossible to turn. Even if thief starts your car,he can't drive it away. Easily installs in seconds: just get for it ,place it on the steering wheel and push button to lockUniversal--fits most vehicles: Designed to fit most cars Unique security cylinder-key lock design: Its key design is allmost impossible to duplicate. Lock tumblers are virtually pick-proofHeavy duth locking mechanism: Easy to set, no need for key.Descriptions:Hi-visibility theft deterrence While it protects,it's clearly seen through.Nobody pays attention to electric ''false'' alarm, but the armored bar is always working.Compact size and tempered steel construction, don't worry about scr. Description:Color: BlackSize: about 10cm wide, 39cm long.Material: High quality Alloy LeatherThree-direction lock design: the steering wheel locked at the left side, right side and airbag direction. According to manufacture test, it will take more than 45 minutes to cut all three parts out, while, most thief will give up in 5 minutes. So, it's very safe for car owners.When lock is cut by thief, airbag apron will press the car horn to make alert.Suitable for most steering wheels with thick cover.The angle of the lock apron can be adjusted so as to make it more suitable for use.Lock beam is made of high quality steel alloy, which hardness is two times of regular 304 steel. So, it's still in good condition at violent destruction of 16 tons of hydraulic . UK SELLER 48HRS DELIVERY! ROYAL MAIL TRACKED!BIG SALE!! X2 HEAVY DUTY WHEEL CLAMP WITH 2 KEYS. Very simple and convenient set up. 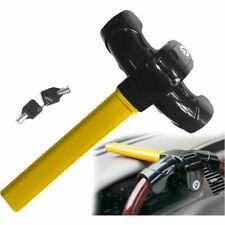 This heavy duty anti-theft steering wheel lock is a high visibility security device for your car or van. It provides added visible security. 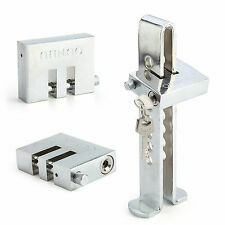 This lock is very quick & easy to fit, on in seconds and if you have the keys just as easy to remove. This lock clamp is a perfect anti-theft device. 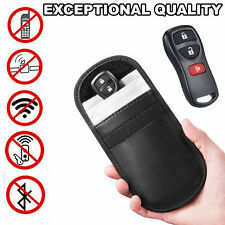 It is a must have one for sake of your car's safety. |Highly visible due to bright colors. - Color: Black. We will get back to you as soon as we are available. Anti Theft Trailer Wheel Lock Clamp Boot for Boat Trailer,Car,SUV,ATV,RV. 1 x Heavy Duty Wheel Clamp Lock. Very simple and convenient set up. Material: Steel. Highly visible due to bright colors (red & yellow). Material: Steel This heavy-duty lock clamp is a perfect anti-theft device that will completely immobilize a wheel from rotating or turning. It is extremely durable,Light-weight versatile and easy to use. 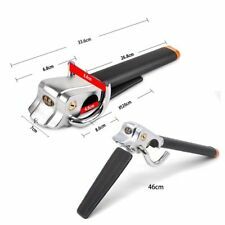 Feature: Made out of weather resistant steel Adjustable for wheels from 230MM-330MM Soft coated clamp will not scratch or damage wheels or rims Portable and easy to store Highly visible due to bright colors (red & yellow) Very simple and convenient set up Package included: 2 x Car Lock . Features:100% brand new and high quality.Compact design for easy storage. Simple to lock and unlock with keys in seconds.With the lock, it can greatly prevent car theft.Double protective against cutting and drilling.Weather resistant heavy duty steel and compact design for easy storage. Specifications:Material: steelColor: yellow and redSize: 47*22.5*5.5cmPackage size: 51*26*7cmPackage included: 1 x Car LockNotes Brand Unbranded MPN Does Not Apply EAN Does Not Apply Type Car Wheel Lock Material steel Color yellow and red Size 47*22.5*5.5cm Keys 2p. Brand Unbranded MPN GN25DWZJ6430100115320 EAN Does not apply Country/Region of Manufacture China Material steel Color yellow and red Size 47*22.5*5.5cm Keys 2pcs Type Car Wheel Lock Features Anti-theft wheel clamp Extended Size 15-26CM Manufacturer Part Number Does not apply. What is RFID relay theft?. Thieves have now migrated to using signal relay devices that boost or amplify the car fob signals range and allow them to unlock cars without breaking into them. This can usually take as little as 5 seconds. Free Fast Delivery - High Quality - 24 Hour Sale !!!! Protect your car fitted with a keyless entry and/or keyless start/stop system with this simple solution. Specific design for automotive keyless entry fobs. 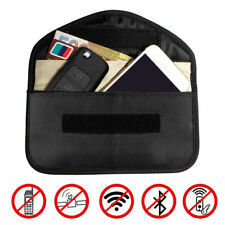 Small, light, flexible and unobtrusive - easy to carry in your pocket. HEAVY DUTY WHEEL CLAMP. Heavy Duty Wheel Clamp. 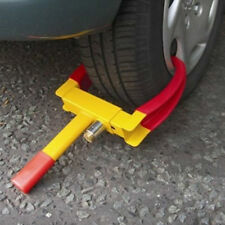 - Anti-theft security wheel steel clamp. - Material of the wheel clamp: Tough hardened, weather resistant steel. Key Features - Easy to install in seconds, very simple and convenient setup. These Shackleless Hasp & Padlock Set is perfect for commercial vehicle security it can also be used for gates and other flat surfaces that require high security. Specifications: ---2 7/8" (73mm) Shackleless Steel Padlock (Solid Steel Case with 2 Keys) ---8 3/4" (225mm X 115mm) Heavy Duty Hasp (Solid Hardened Steel Body) ---Precision made from heat-treated, hardened steel ---Extremely secure ---Can be used on Trucks and Transit type vans ---Can also be used for securing gates and sheds etc. ---5 Pin Brass tumbler ---Supplied with 2 keys. Cut off, can not pry, drilling do not wear, cut fixed! Application: Cars, Trunks Clutch Pedal, Accelerator. The lock position is better concealed, it is the essence of guarding against theft. It can prevent sawing, anti prizing, anti shearing, anti knock and rust prevention. 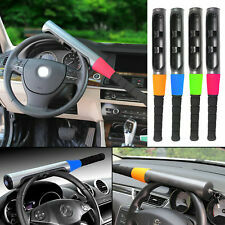 NEW Baseball Style Steering Wheel Lock for Car/Van Security Universal Fit. Will not fit vans or steering wheels that are thicker then normal size. Non-duplicable round key cylinder. Light weight - Easy to carry. Features:Will fit most vehicles including: Cars, Trucks, Motorcycles, Golf Carts, Small Aircraft, Boat Trailer, Go Karts, Scooters, Lawn Mowers, ATV's, RV's,- Anti-theft security wheel steel clamp- Easy to installs in seconds Very simple and convenient setup- Fit most vehicle wheels ranging from approx.- The soft coating on the wheel clamp helps to prevent tyre damage Specifications:- 9 Adjustable Holes- Material of the wheel clamp: Tough hardened steel- Material of the soft red coating part: PVC This heavy-duty lock clamp is a perfect anti-theft device that will completely immobilize a wheel from rotating or turning. It is extremely durable, lightweight, versatile and easy to use. Made out of weather resistant steelPortab. Features: 100% brand new and high quality. Compact design for easy storage. Simple to lock and unlock with keys in seconds. With the lock, it can greatly prevent car theft. Double protective against cutting and drilling. Weather resistant heavy duty steel and compact design for easy storage.